Perth Bridal Fairs – Are they worth my time? 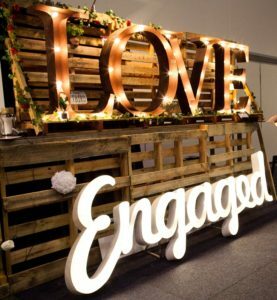 Our Wedding Date Blog > Perth Bridal Fairs – Ticking off your Wedding To-do list in one day! Perth Bridal Fairs – Ticking off your Wedding To-do list in one day! The Perth Bridal Fair – Is it worth my time? It might be the fast-growing and most exciting annual Bridal event in Perth but why should you attend Perth Bridal Fair at the Perth Convention and Exhibition Centre? In the countdown to your wedding there is a lot to do and time is precious commodity that you want to use well. So, if you need a reason to head to the fair here’s what will you gain by spending some of those precious hours at this event on 18 &19 March? Look spectacular: This is my big moment!! Good Looking Groom & Bridal Party – Choose carefully! Then dress them accordingly! Celebrants – Need to agree on all the things I want included in this special moment. Photography – Very important choice as we’ll be eyeball to eyeball all day! Videography – Must be unobtrusive but capture all the moments I might otherwise forget! I’ll need to chat to a few! The list goes on and on…..cakes, cars, favours, invitations, menu’s and mementos…. I think I’ll have to make a day of it but then I’ll have so many things on this list done! Right, so it seems that planning to be at the Perth Bridal Fair 2017 on Saturday or Sunday 18 & 19 March should shorten your list significantly. Ask Dad for his Credit card and suit size. Just breathe …that’s it slowly now, and relax.